You’ve thought about it. You’ve done your research. You’ve prepared yourself as best you can. And you adopted a pit bull – congratulations! As you hopefully already know, owning a dog can be hard work. It requires time, money, and sometimes even personal sacrifice to make sure your dog is happy and healthy. 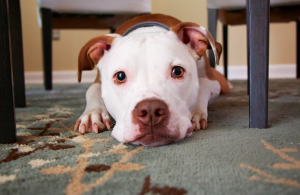 So how might caring for a pit bull specifically differ from caring for other dog breeds? Read on to find out. Pit bulls are not dogs for inexperienced dog owners. Because of their unfortunate reputation as being aggressive fighting dogs, pit bull owners must be especially mindful when out in public with their dog. Pit bull owners must be extremely responsible and willing to act as a breed ambassador at all times. Pit bulls are muscular, athletic dogs that require daily exercise. They should be walked every day and played with (fetch, tug-of-war, etc.) often. Pit bulls are usually medium-sized dogs (or bigger) and should have enough space to move around comfortably. Because pit bulls have short hair, they require little grooming. Be mindful, though, if you live in an area where it gets cold in the winter months. Do not leave your pit outside if it’s raining, snowing, or cold. Dogs can get frostbite and hypothermia too! As we’ve mentioned in previous articles, part of being a responsible pit bull owner is making sure your dog is well-trained. 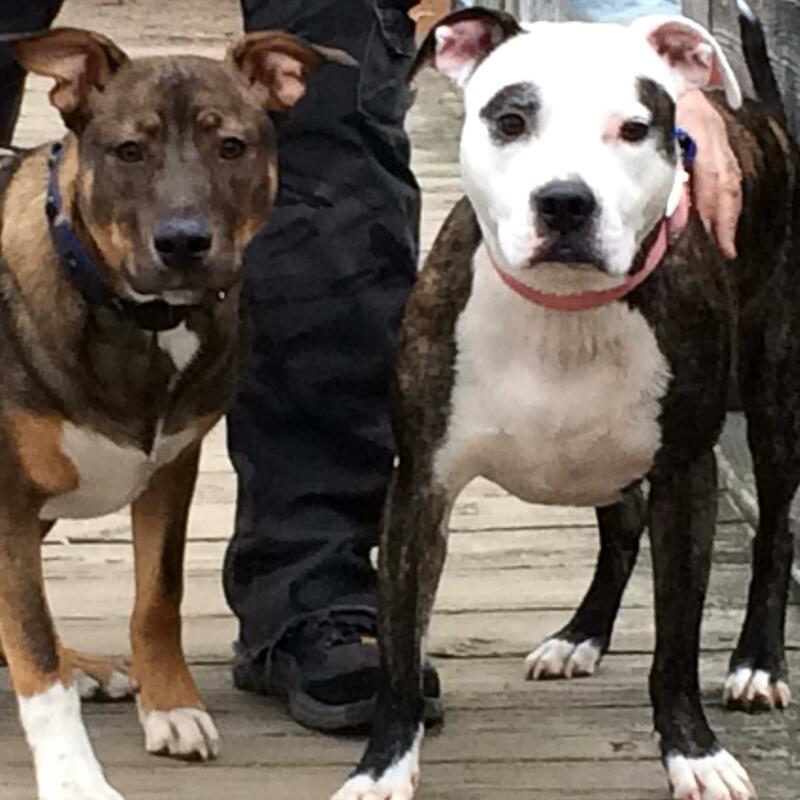 Your dog’s behavior is a reflection of the entire pit bull/bully breed community. Pit bulls can be stubborn, but they are also obedient and eager-to-please. They are smart, inquisitive animals who can benefit from the kind of mental stimulation that training classes can offer. Depending, of course, on the individual, pit bulls are generally very social, people-oriented dogs. Like all dogs, they should receive lots of love and attention. Do not leave your dog home alone for long periods of time, especially if he/she does not have access to the outside. Pit bulls are generally known to be gentle with kids as well, but always be cautious when introducing your dog to new people. Never leave your dog unattended with a child. It’s no secret that owning a dog comes with responsibility. But in many ways, owning a pit bull requires even more responsibility. Pit bull owners face some tough challenges, like breed stigmatization, discrimination, and bias. It’s not for everyone, but being a pit bull or bully breed owner can be one of the most rewarding experiences you could have. –What are you looking for in a dog? Consider what traits or characteristics are important to you. Pit bulls are loyal, intelligent, silly, affectionate, and sometimes stubborn creatures. They need moderate daily exercise and ongoing socialization. Every dog varies in his/her specific requirements, however, so be sure to ask as many questions as you can and obtain us much information as possible about the particular dog you want. –Are you ready and willing to be a responsible dog owner? This means having your dog spayed/neutered (if you adopt from a shelter, they require it), training your dog, making sure he/she is always wearing up-to-date identification, and keeping him/her socialized. Being a responsible pet owner requires time and money, so be sure you are at a stable point in your life in order to make this commitment. able to coexist. While many dogs can live comfortably with other animals in the house, not all can. It is important to introduce the animals (and human family members!) prior to adopting to be sure everyone gets along. Check with the rescue or shelter staff to see if the dog has been evaluated for compatibility with other animals. –What are the federal, state, or local laws pertaining to pets in general and pit bulls specifically? 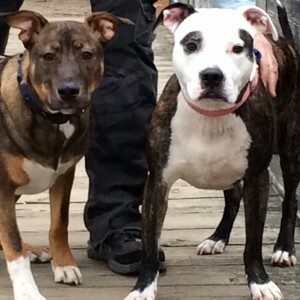 Do some research about the area where you live to ensure there is no breed specific legislation in place, which bans dogs who look a certain way, regardless of their actual temperament or behavior. If you rent or have a homeowners association, make sure a pit bull-type dog is allowed under those terms. Also be aware that if you own a pit bull or other bully breed dog, finding housing in the future may be difficult. Creating a pet resume can help. –Are you willing to stand up for your pit bull? If you’re thinking about adopting a pit bull, perhaps the most important thing for you to understand is that once you do, you become a breed ambassador. Being a breed ambassador means separating yourself from the stereotypical pit bull owner and proving to the public that pit bulls are not the scary, violent dogs they are so often perceived to be. You must peacefully and patiently combat the negative stigma surrounding pit bulls on a frequent basis. You are your dog’s advocate from now on. Above all else, understand this: if you adopt a pit bull, you will have a loyal, loving companion for years to come. Yes, owning a dog is sometimes hard work. And yes, being a breed ambassador can be hard work, too. But the joy of sharing your life with a canine companion is unparalleled, and for the right person, a pit bull is the perfect fit. Different dog breeds elicit different perceptions about them to the general public, both positive and negative. 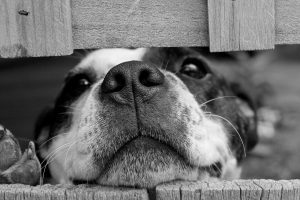 As pit bull and bully breed owners, we are sadly familiar with the overwhelmingly negative stereotypes surrounding our dogs. 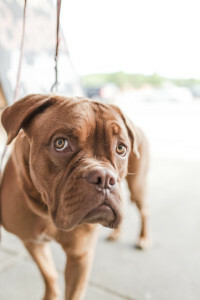 People often see bully breed dogs as “violent,” “unpredictable,” and “scary.” In addition to the negative stereotypes associated with these kinds of dogs, there are also stereotypes surrounding the people who own them. Pit bull and bully breed owners can be seen as criminals, gang members, or even drug dealers. There are many reasons why these stereotypes persist today, perhaps the most notable being selective interpretation, or confirmation bias. This is the process in which a person forms a theory and then searches for things that prove their theory while ignoring things that are contradictory. For example, events that confirm the idea that pit bulls are vicious creatures are highly publicized by the media, while so many friendly, sweet pit bulls are ignored. However, discrimination toward others also stems in part from unfamiliarity with bully breed dogs and their owners. It’s important to remember that people who are unfamiliar are reacting to the stereotype, not reality. Oftentimes, those who perpetuate negative stereotypes have never actually had a personal experience with a pit bull and are only going off of something they heard or saw on the news. So, how do we break these stereotypes? The most important thing we can do as pit bull and bully breed owners is to become breed ambassadors. This means doing everything we can to be responsible dog owners and separating ourselves from the stereotypical pit bull owner. Make sure your dog is well-trained and socialized. Take him/her places and be sure he is well-mannered and obedient. Make friends with your neighbors and be open to starting conversations about your dog. Educate yourself. Learn and follow laws, and be active in your local government. If someone makes a rude or negative comment, don’t get defensive. Instead, speak with maturity and wisdom and use these opportunities to help others understand the true nature of your dog’s breed. You have the power to help change the public’s perception of pit bulls, one positive interaction at a time. Through education, outreach, and love, we can help restore the pit bull’s reputation and bring an end to breed discrimination once and for all. Apartment/house hunting is hard enough as it is, not to mention with a dog. Landlords can be very particular when choosing whether or not to rent to tenants with pets. Reasons for this particularity are understandable–they may have had a bad experience or gotten stuck with an outrageous bill after a tenant left an apartment in disarray–so you must take their concerns seriously and get creative with overcoming the issue. 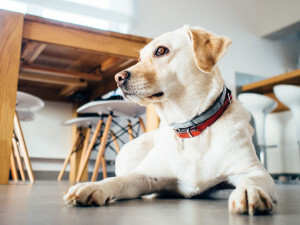 You need to convince and reassure your potential landlord that both you and your pet are responsible, clean, “well-trained,” and fully capable of keeping the apartment in good condition. This is especially important if your furry companion is a pit bull or bully breed, due to the unfortunate stereotypes and discrimination facing these dogs. 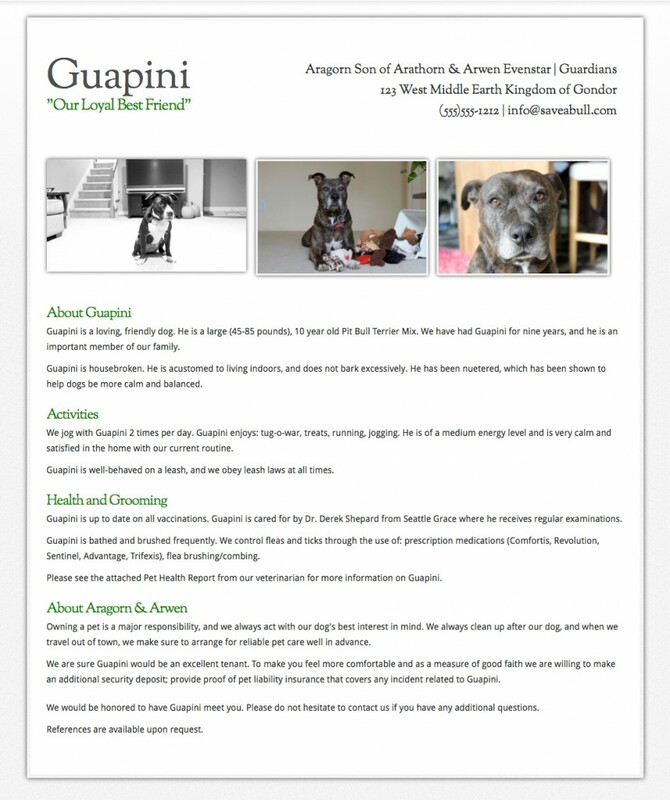 A powerful tool that will give you a leg up against other applicants is a resume for your dog. It might sound silly, but it will show the landlord that you take pet ownership seriously, and directly addresses any concerns he/she may have about pet behavior and health. The key here is to include as much information about your pet as possible while keeping it relatively light and fun. 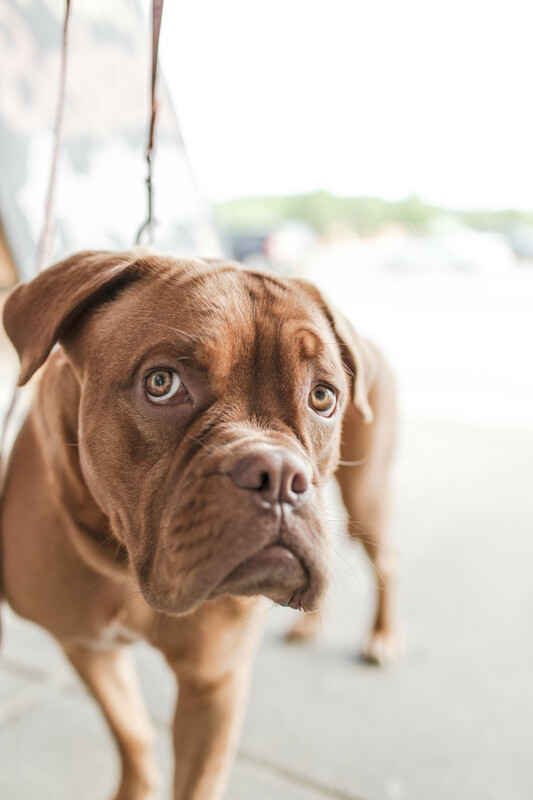 You want your pet to seem approachable, especially if your dog is susceptible to breed discrimination, to help break down those barriers with your landlord. Photos: Pick the most adorable ones you can find. You might also consider embedding a video if the resume is digital, preferably of your dog playing outside, interacting with people and/or other dogs. Description: Talk about your dog’s age, size, temperament, years with your family, etc. Activities: Describe how your dog gets exercise, what type of exercise he/she prefers, and how often. You can also mention favorite toys and games here. Health and grooming: Describe your pet’s vaccination history, whether they’re spayed or neutered, flea/tick control methods, and veterinarian information. Training: Talk about any kind of formal training classes your dog may have completed, whether they are house broken, and whether they respond to voice commands. About you: Showcase your abilities as a responsible pet owner. Explain that you always clean up after your dog and that you have arrangements for reliable pet care if you go on vacation. Also mention that you would be happy to arrange a meeting between your dog and your prospective landlord. In addition to your pet’s resume, it may also be a good idea to attach references from your current/past landlords, neighbors, groomers, and trainers who knew your dog, attesting to the fact that you are indeed a responsible pet owner. You may even want to offer to provide an extra security deposit for your pet as a courtesy. Supplying your pet’s resume and additional documents from the get-go, even without the landlord asking, will likely boost the “responsible pet owner” factor and improve your chances of being the chosen tenant. Furthermore, going to the effort to create the resume and getting the additional paperwork together on your own shows that you respect your pet, which will in turn encourage others to treat your pet with respect as well. Even if you aren’t planning on moving any time soon, it can’t hurt to be prepared and keep a resume for your pet on file. Life happens, and you may be forced to move sooner than you had planned. You deserve flexibility in your living situation, but leaving your dog behind should never be an option. Equipped with your carefully crafted pet resume, you can now approach hunting for your dream apartment/rental home with an optimistic attitude and man’s best friend by your side.